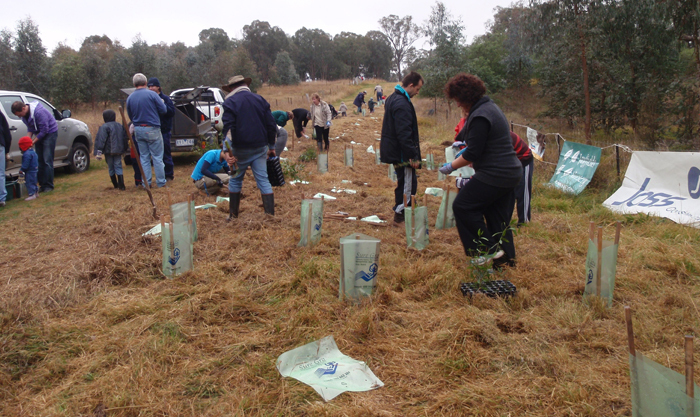 What: Over 1000 seedlings of local trees, shrubs and grass species were planted in by 45 people. Funding: Caring For Our Country Community Action Grant (with Slopes2Summit). Output: Healthy trees, shrubs and grasses growing along waterway within the Thurgoona area. Intended Outcome: Increased habitat quantity and connectivity for local wildlife, improved water quality.